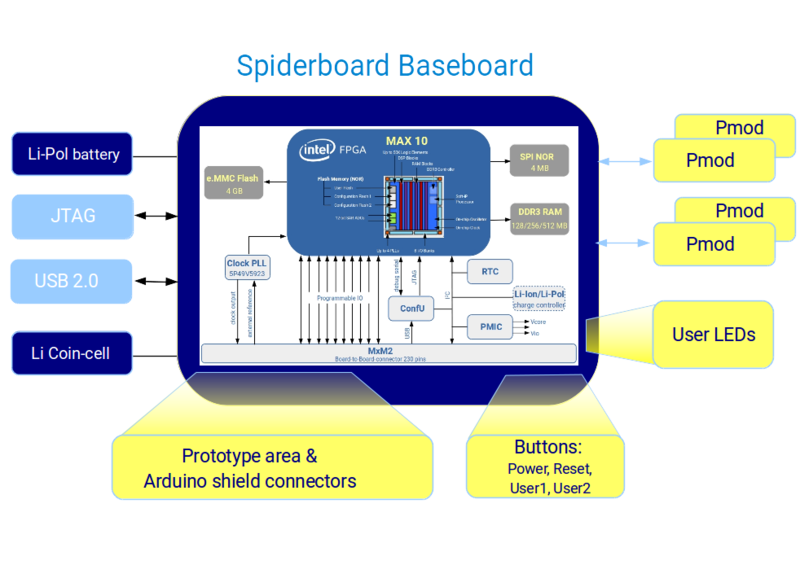 The SpiderBase is a unique baseboard, designed to host the SpiderSoM / MX10 SoM based on Intel PSG (former Altera®) MAX® 10 FPGAs. SpiderBase is available as a low cost and extremely flexible platform which enables user to setup a running system according to the required specification in a very short time. This baseboard has a large prototype area and is based on the free and open design concept: KiCAD design files are available under CERN OHL v1.2. The SpiderSoM can be used with the standard baseboard (SpiderBase) as a complete building block or can be plugged into existing designs and products as functional part. 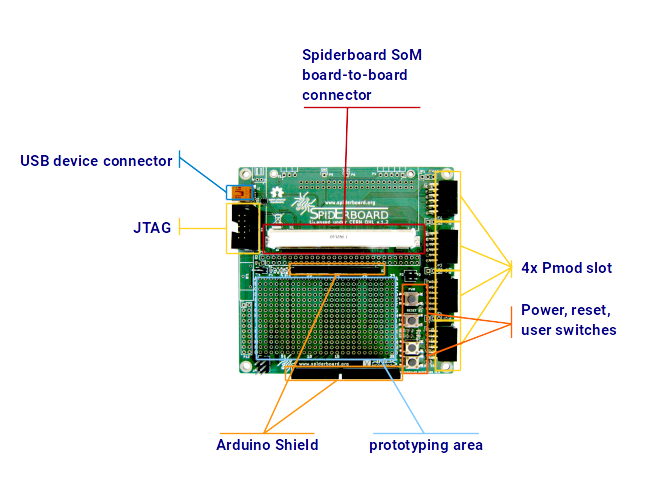 It connects to its baseboard via a 230pins MXM2 connector and provides the ideal solution support for various soft-core CPUs, video-processing algorithms, etc. compatibility to the SpiderSoM as well as the MX10 SoM. The functionality easily be extended by either using existing Arduino shields or Pmod connectors.